E1129 06:06:19.727578    2540 proxysocket.go:138] Failed to connect to balancer: failed to connect to an endpoint. --cleanup-iptables[=false]: If true cleanup iptables rules and exit. --healthz-port=10249: The port to bind the health check server. Use 0 to disable. --hostname-override="": If non-empty, will use this string as identification instead of the actual hostname. --iptables-sync-period=30s: How often iptables rules are refreshed (e.g. '5s', '1m', '2h22m'). Must be greater than 0. --kubeconfig="": Path to kubeconfig file with authorization information (the master location is set by the master flag). --proxy-mode="": Which proxy mode to use: 'userspace' (older, stable) or 'iptables' (experimental). 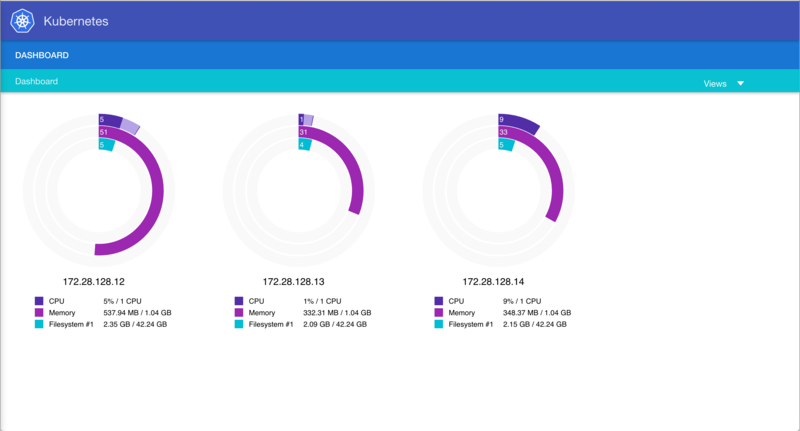 If blank, look at the Node object on the Kubernetes API and respect the 'net.experimental.kubernetes.io/proxy-mode' annotation if provided. Otherwise use the best-available proxy (currently userspace, but may change in future versions). If the iptables proxy is selected, regardless of how, but the system's kernel or iptables versions are insufficient, this always falls back to the userspace proxy. --proxy-port-range=: Range of host ports (beginPort-endPort, inclusive) that may be consumed in order to proxy service traffic. If unspecified (0-0) then ports will be randomly chosen. --resource-container="/kube-proxy": Absolute name of the resource-only container to create and run the Kube-proxy in (Default: /kube-proxy). root@minion2:/var/log/upstart# grep -ir "10.0.2.15" . ./network-interface-eth0.log:bound to 10.0.2.15 -- renewal in 34886 seconds. ./network-interface-eth0.log:bound to 10.0.2.15 -- renewal in 37295 seconds. 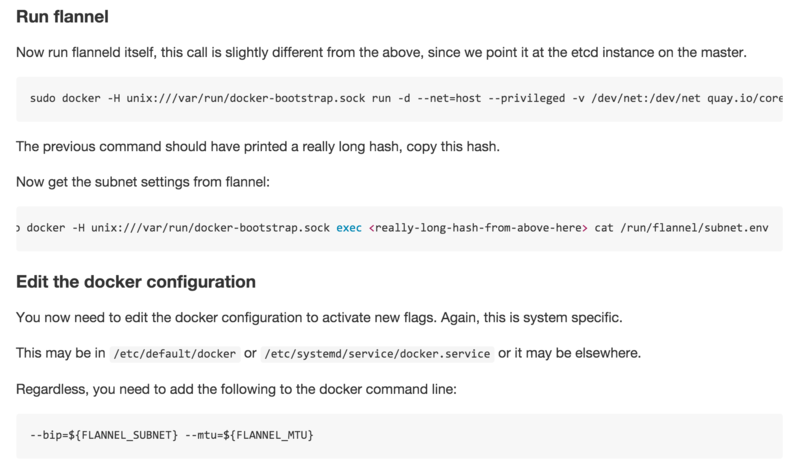 DOCKER_OPTS=" -H tcp://127.0.0.1:4243 -H unix:///var/run/docker.sock --bip=172.16.10.1/24 --mtu=1472"
DOCKER_OPTS=" -H tcp://127.0.0.1:4243 -H unix:///var/run/docker.sock --bip=172.16.29.1/24 --mtu=1472"